You’re working with Christopher Nolan, director of the last two Batman films. Is there a conflict of interest there? Batman v Superman? He is a generous and amazing talent and as a producer super-supportive even in just the few weeks we’ve been talking about it. I doubt Superman and Batman ever share the same screen because of the guidelines set by DC and Warner Brothers, but I would be lying if I told you I wasn't excited that Synder said, "we’ve been talking about it." What do you think? 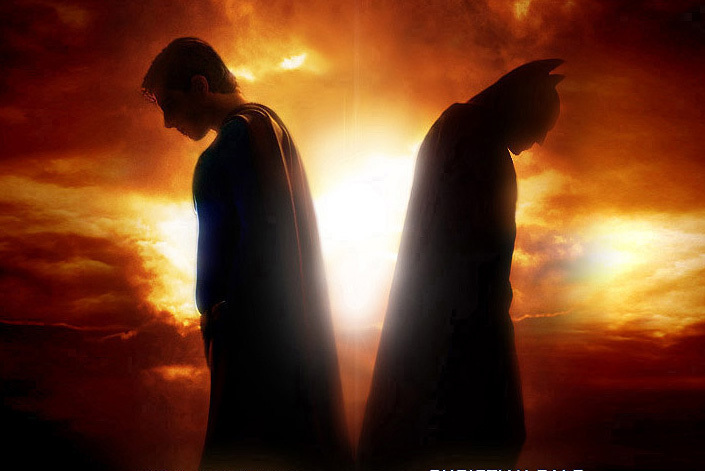 Is there any realm of possibility Superman and Batman will be in the same movie. I hope not. Never cared for it in the comic books as well. I always felt Batman worked best in story lines when he was unique - something people never heard of and feared. The very existence of other heroes in the universe undermines the fear the mantle of the bat is supposed to provoke. Why fear some mortal like Batman when you've got immortals like Superman that could grind Batman into the dirt? I like the idea of all characters being human and utilizing their own skills and knowledge to become good or evil. The Joker, Two-Face, Scarecrow, etc., are all flawed human beings - driven to insanity or greed by their own doing or the doings of some other earthly event. No matter how powerful they become, they are still, nonetheless, human. I know it seems ridiculous to request "realism" in a superhero movie, but that's what I'm requesting nonetheless, when it comes to Batman. Leave the other-worldly stuff to Green Lantern, Superman, Spidey, and the X-gang. I'll continue to watch their stuff as well so long as they stay true to their own realities. Now Darren, Batman has shown time and again he's always prepared to take down a kryptonian, even Darkseid once.